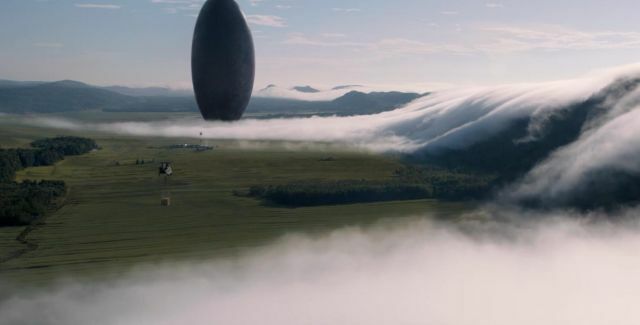 Movie Geek Feed - Movie, TV, Comic Book, and Entertainment News: Blu-ray Review: "Arrival"
Being what I would consider "thinking man's" science fiction, "Arrival" has some extremely interesting concepts to explore. The special effects, cinematography, musical score, and emotionally charged storyline makes it a breathtaking watch, as well. In the end, the film leaves you asking yourself some interesting questions in quiet reflection. "Arrival" is definitely not the type of movie you can just immediately process and walk away from. 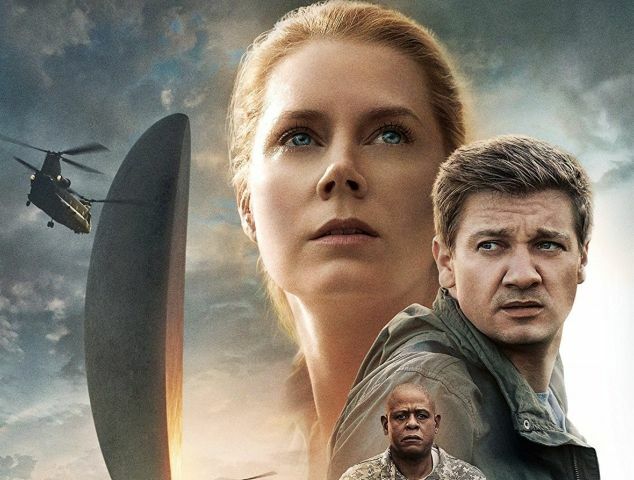 When mysterious spacecrafts touch down across the globe, an elite team - lead by expert linguist Louise Banks (Amy Adams) - is brought together to investigate. 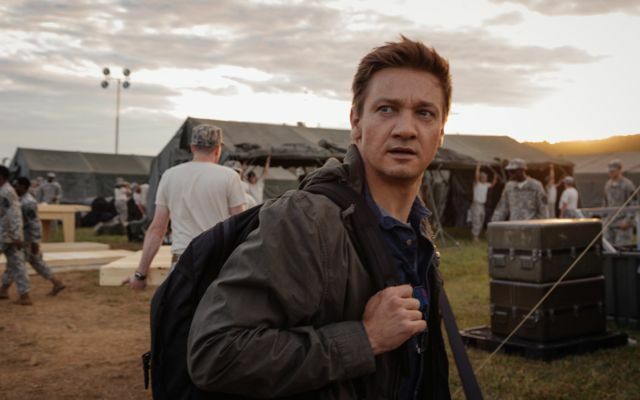 As mankind teeters on the verge of global war, Banks and the team race against time for answers - and to find them, she will take a chance that could threaten her life, and quite possibly humanity in "Arrival." 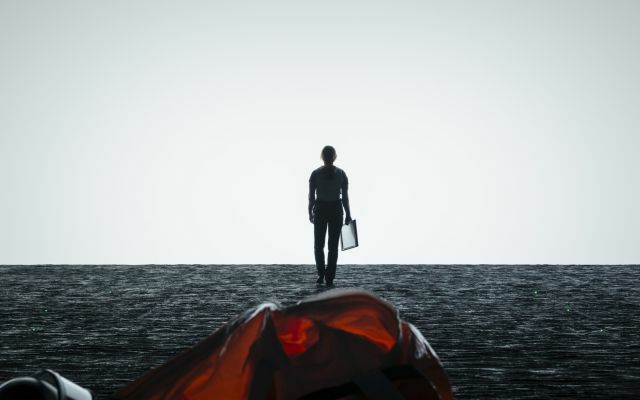 Some might consider "Arrival" to be slow-moving and too talky. It's definitely not an action film. If anything, I would consider it to be a well-paced exercise in anticipation. I still wouldn't say I agree with all the award-winning accolades it's receiving. 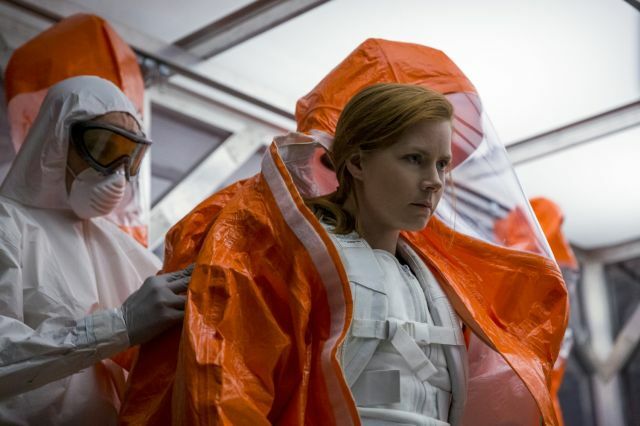 Although "Arrival" is a good movie, it still has some issues. For one, I felt like the lead character figured things out a lot quicker than she should have. "Arrival" is rated PG-13 for brief strong language. There's no onscreen violence, aside from some news reports featuring looting. The profanity could've been cut as well. 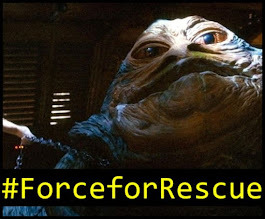 It certainly doesn't add anything to the film. Bonus materials for the Blu-ray version of "Arrival" include a few featurettes. "Acoustic Signatures: The Sound Design," "External Recurrance: The Score," "Nonlinear Thinking: The Editorial Process," "Principles of Time: Memory & Language," "Xenolinguistics: Understanding 'Arrival'" all explore different aspects of the making of the film. 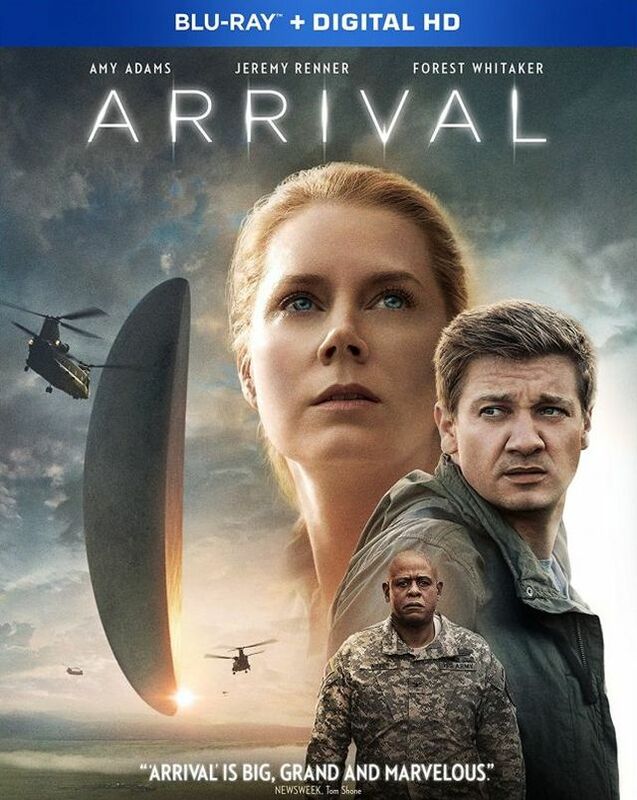 "Arrival" was released on November 11, 2016. It was directed by Denis Villeneuve ("Blade Runner 2049," "Sicario"). 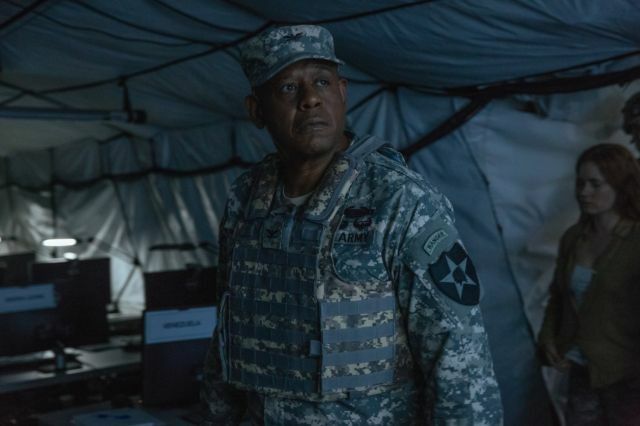 The cast includes Amy Adams, Jeremy Renner, and Forest Whitaker. The running time is 116 minutes. "Arrival" is available now on 4K UltraHD, Blu-ray, DVD, and Digital HD.